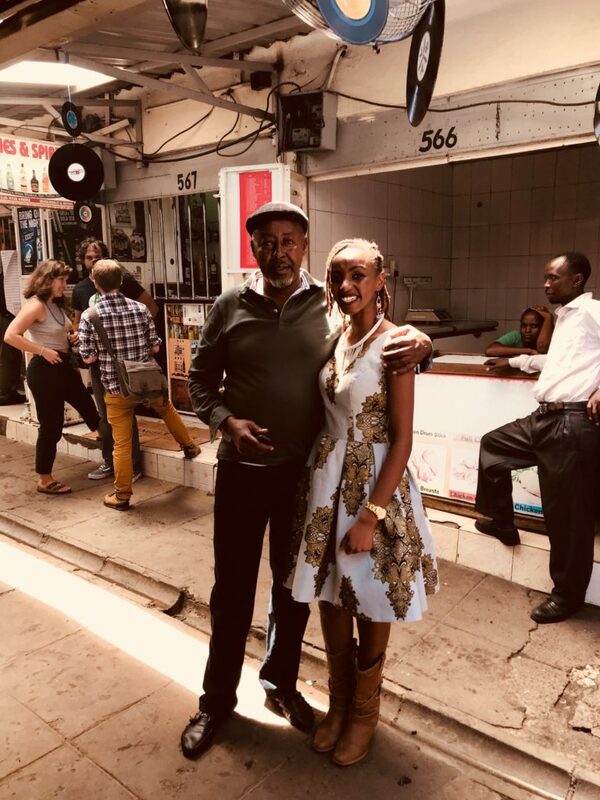 On the 21st of April, music lovers flocked the busy Kenyatta Market to relive the moments of the oldies. The music enthusiasts came to stall no. 570 to commemorate World Record Store Day from as early as 10 am. 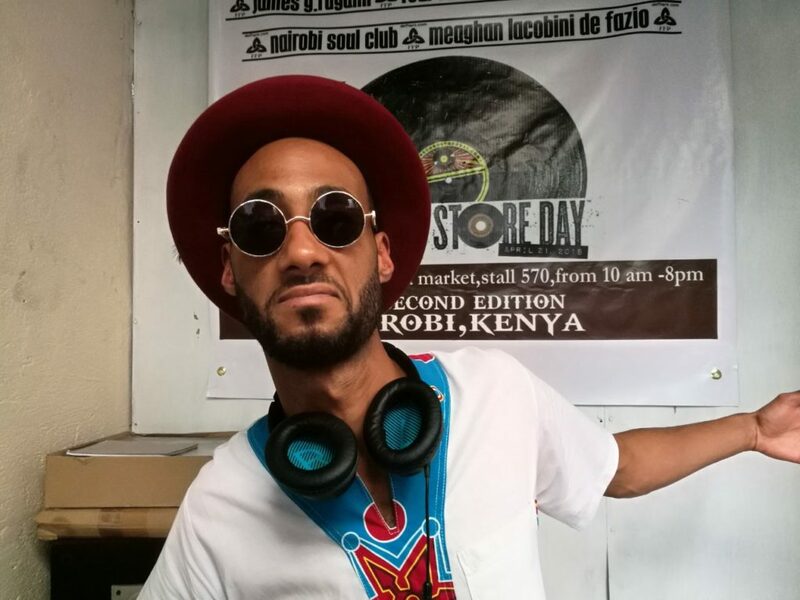 This happens to be the second year Kenya was celebrating in World Record Store Day. 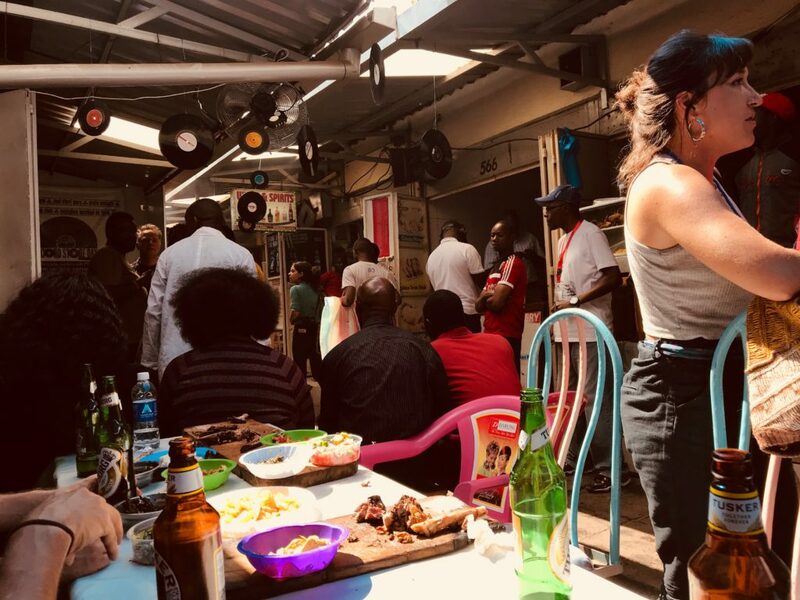 The event was put together by Nairobi Soul Club, Crate Society, Meghan Lacobini De Fazio, veteran Vinyl collector and guru, Jimmy Rugami. World Record Store Day is a day set aside as a way of supporting music shop in the advent of online music streaming and downloads. The initial idea of world record store day was conceptualized by Eric Levin, Michael Kurtz, Carrie Colliton, Amy Dorfman, Don Van Cleave and Brian Poehner in 2007. It is so interesting that just a decade ago, we used to make our way to Melodica music shop or Kassangas and stalls along River Road just to get a copy of the latest track by our favorite artist on cassette or CD. With the millennial wave that has taken the world by storm, we are heavily influenced by the social media trends and technological advances; among them being countless downloads and streaming services have cropped into the market. 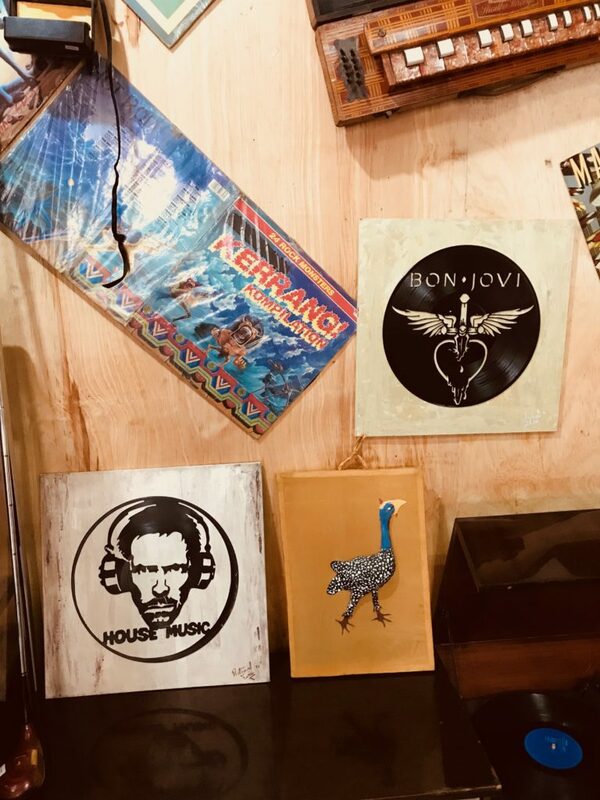 At Jimmy Rugami’s Record shop, it saw music lovers brought together and choose between honoring their slacker impulses or getting everything they want from branded t-shirts, Artwork on displays, to the special offers on various vinyl CDS and cassettes at the shop. As people made merry, ate the fattiest Nyama Choma, and chugged their Tusker. My eyes came across an incredible piece that was on display at the entrance of the Record Shop. 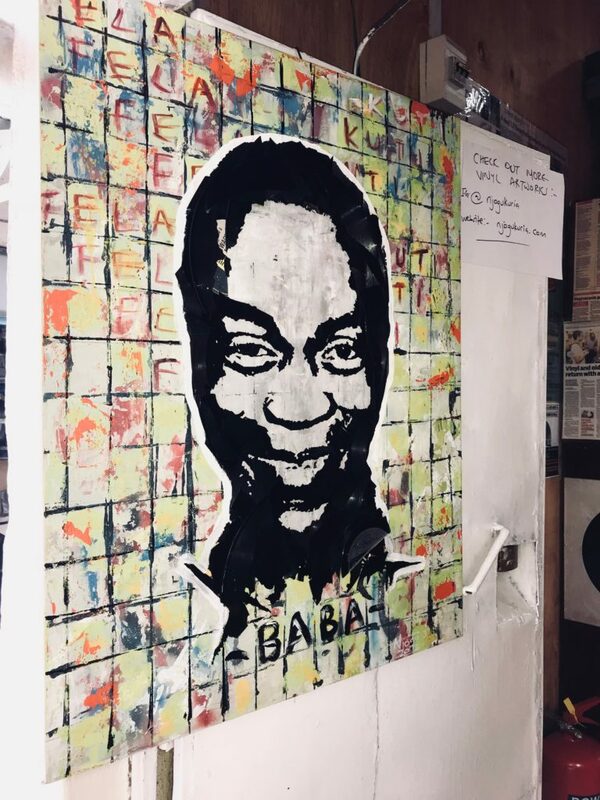 It was a lovely piece of Fela Kuti, what wooed me to the piece was texture and a dash of color. Njogu Kuria, the artist behind the artistic piece told me he curates such pieces from old Vinyl LPs. 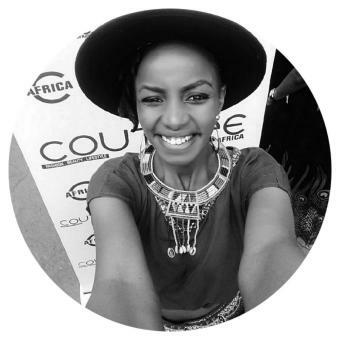 Njogu has over the last 6 years seen him experiment with different techniques and mediums, including acrylic and oil pastel painting. 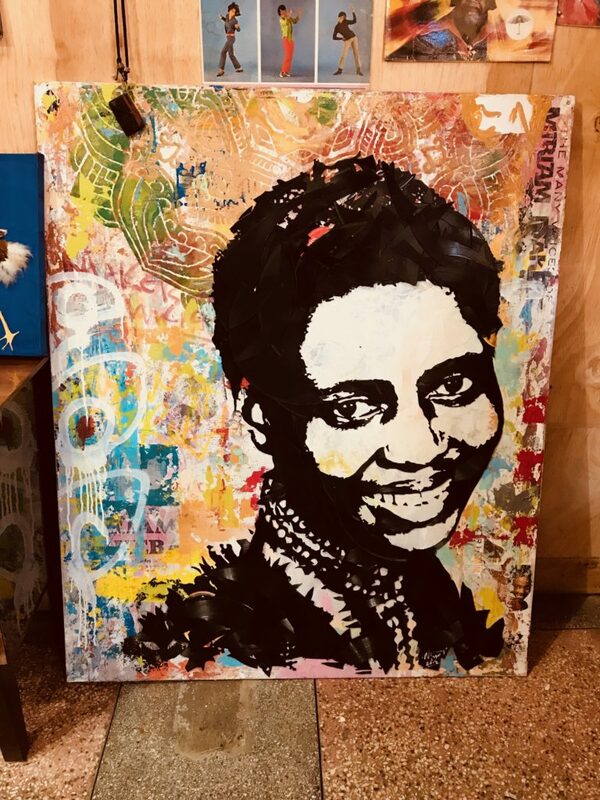 Working with vinyl records has seen him progress a lot in such a short time, where the art pieces have been showcased in various group and joint exhibitions around Nairobi, Diani and Arusha, Tanzania. He has over the years managed to transform his artwork to a fully-fledged business with a studio in South B, known as Studio SoKu. At the studio, people can get customized pieces on Vinyl records at affordable prices. 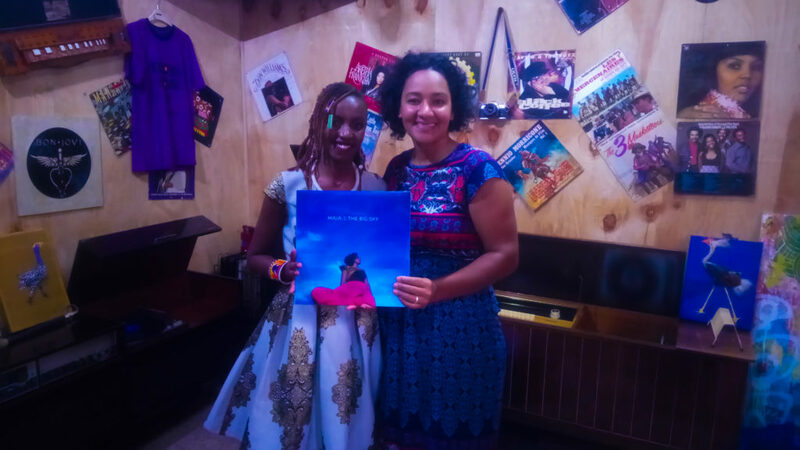 What a great time to be alive during this burgeoning resurgence of Vinyl record appreciation worldwide, Maia Von Lekow happens to be the first Kenyan artist to pay homage to the Vinyl Records after 25 years since its slow death of production in Kenya. His work is quite remarkable. I would advise you get in touch with him. I have also provided a his studio location in case you wanna get to him and buy a piece.